There is always debate as to which is better, the Mac or the PC. Some users prefer the PC, while others swear by the Mac. Mac vs PC is always a hot topic, but it seems in recent years that more and more people are turning to Apple. The popularity of the Iphone and the Ipad are only helping Apple make an impact on the home computing market. 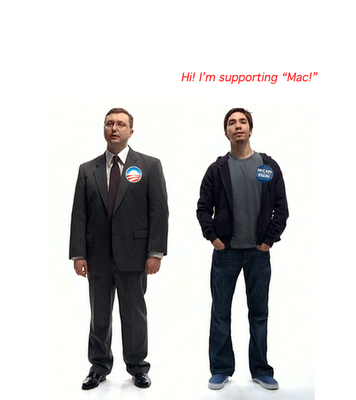 Let’s take a look at some of the ways the Mac is superior to the PC. The Mac vs PC argument can’t be talked about without discussing computer viruses. Computer viruses can damage your computer, cause you to lose valuable information and also give hackers access to vital personal information. One of the things Mac users love about their Apple computers is they don’t have to worry about viruses nearly as much as if they had a PC. They don’t have to constantly update their virus protection and worry about getting hacked. When going to a Mac from a PC, many first time users can’t believe that they don’t get viruses anymore. When comparing a Mac vs PC, there are other factors that make the Mac superior. You don’t have to reboot your machine every time you install new software. With a PC, many times you have to reboot your machine to finish installing software. While we are on the topic of booting up, the Mac boots up much faster than a PC. The operating system that runs the Mac is much more stable than Windows. Mac users find their computers crashing far less than a PC. Apple computers also hold their value much longer than PCs. Mac owners are able to sell their computers for much more than they would be able to sell an older PC for. In many ways, the Mac is the superior machine.